Riding a bike to work is easy, convenient and not to mention fun. There’s no better time to experience it for yourself with help from our simple checklist. Sick of sitting on a humid, overcrowded, peak-hour train? Or even worse, whiling away the daylight hours sitting bumper to bumper in your stationary car, dreading the idea that you’ll have to do it all again at the end of the day? We’ve got the solution, and it’s really simple — ride a bike. You’ll not only get to work quicker, more alert, and healthier than when you left, you’ll save time, money and you may even have a little fun along the way. The great thing about bike riding is that regardless of your age, fitness levels or ability, anyone can experience the joy of the ride – all you need is a bike, helmet, set of lights and you’re good to go. And we promise, once you get rolling, you’ll be wondering why it took you so long to start. 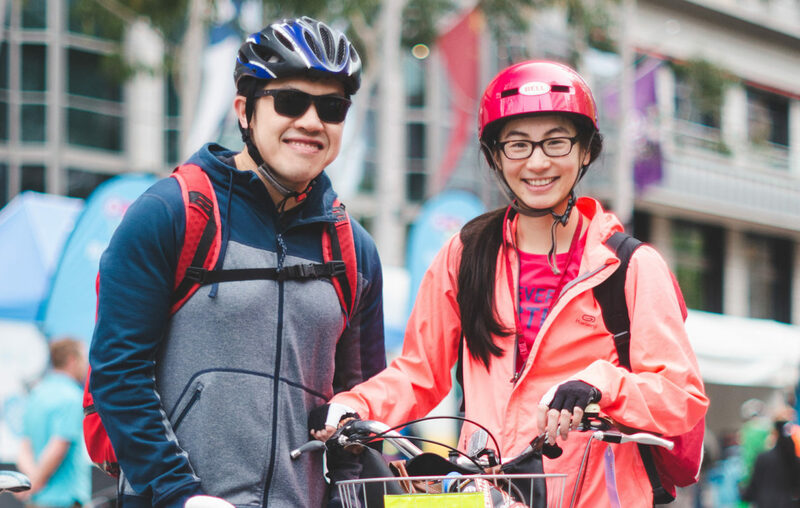 To help take the hassle out of overthinking, we’ve pulled together our bike commuting 101 check list for your first ride to work. So you’ve decided that you want ride to work for the first time. What now? Before you start rolling, you’ll need to give your bike a little TLC. Set it up to your size, pump up the tyres and ensure it’s in good working condition. Make sure you check the brakes too. You’ll also need lights, a bell and helmet. 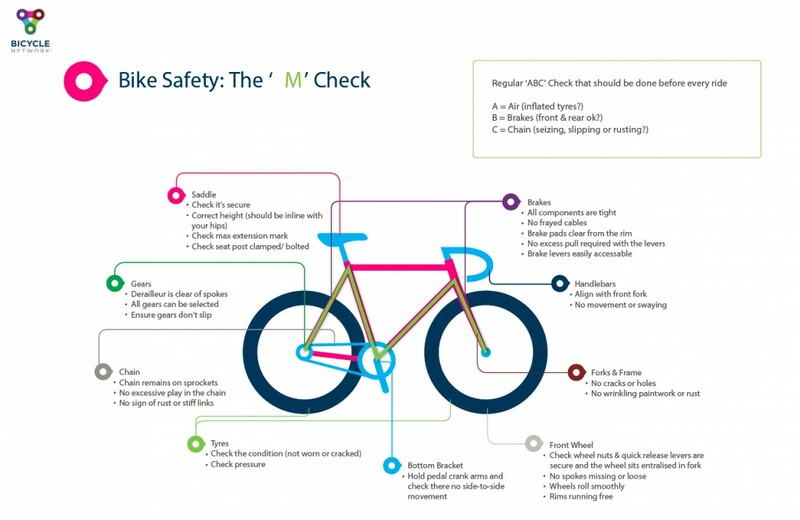 It’s easy to be overwhelmed by the many parts of a bike—and easy to ignore the state of your bike altogether—so we’ve created a simple and speedy bike check that draws the eye through all the most important areas. Investigate the best way to ride to work and check it out beforehand. Build your confidence by inviting the kids or a friend and do a test ride on the weekend. If your commute is too far — part way is always okay. You could drive in part-way, park, and then swap to the bike. Or, you could ride to your local train station, many of which have secure parking facilities like the Parkiteer bike cages. Think about whether you’re comfortable riding on the road or would prefer to stick to paths and how long it will take you. There are plenty of great resources to help you plan the best riding route. 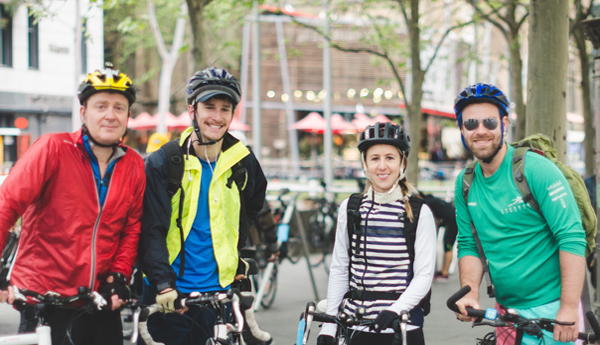 Chat to the regular bike riders at your workplace and ask for advice on the best riding routes, where to park your bike and where to shower (if you think you’ll need to). 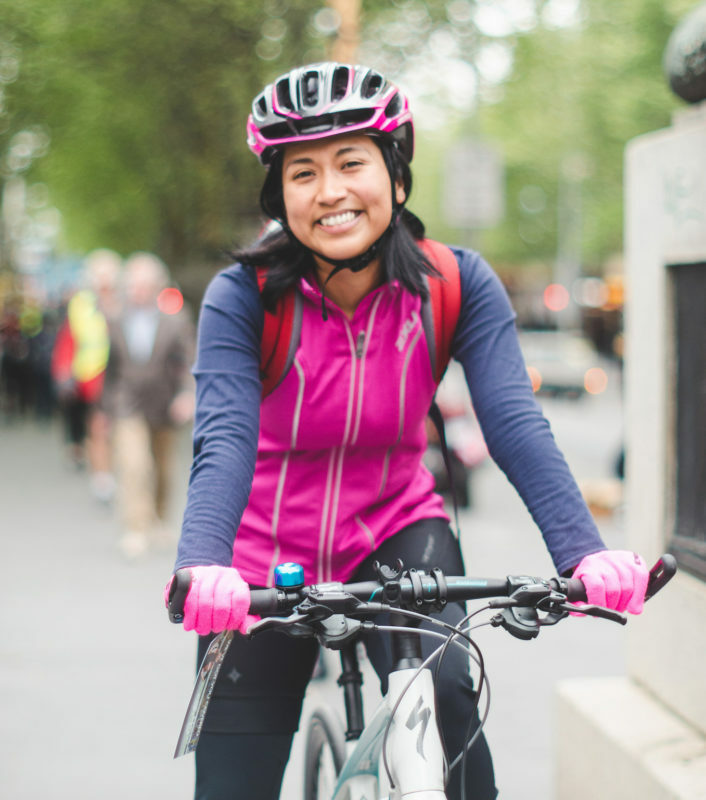 Trust us, when you start talking to fellow riders about your first commute, they’ll be so excited that the helpful advice will come thick and fast. 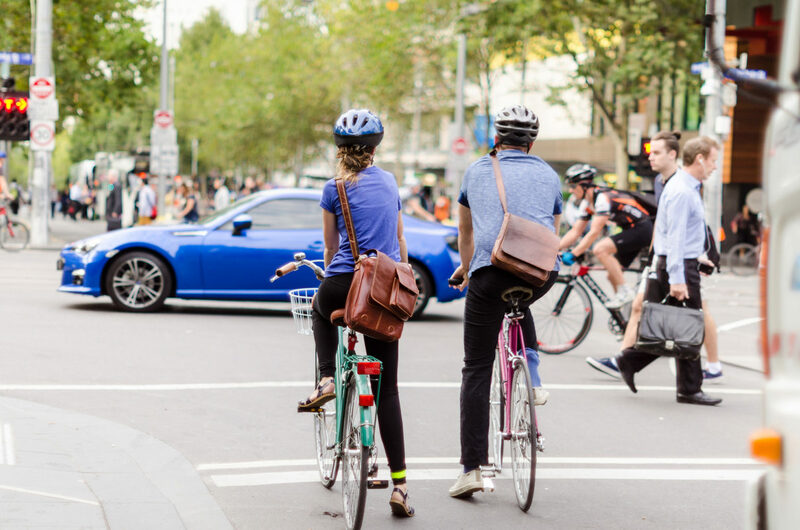 You may even find yourself with a new bike buddy and some company on your commute. Riding a bike is one of the greatest feelings in the world. Take the time to enjoy the journey and experience the sights, smells and sense of community that comes from being on a bike. Now’s the perfect time to see for yourself why more and more people are ditching the car or train for a bike. Reclaim your day and take back the inactive hours wasted – we promise you’ll be happier and healthier for it.